Throughout history, Colombia was the prime source of the highest quality and the largest quantity of Emeralds. Colombia produces a broad range of Emerald qualities and it is the finest of these stones against which all others are judged. 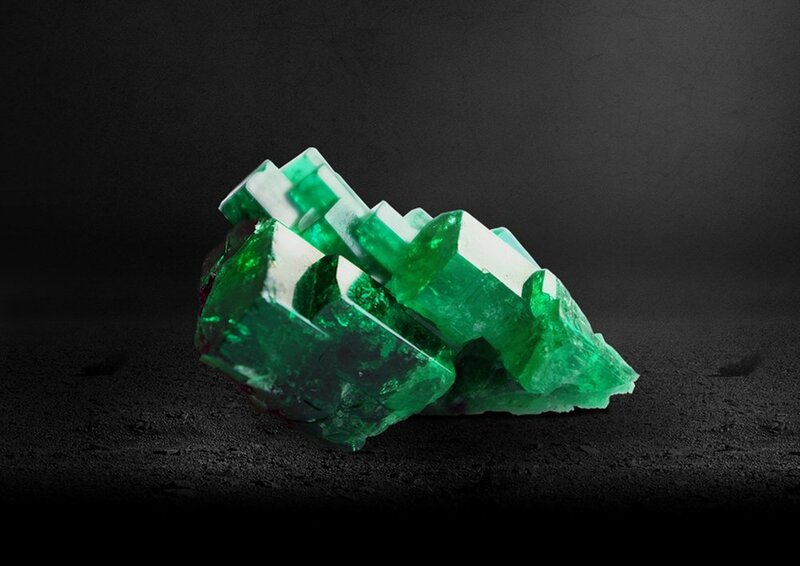 The traditional Colombian Mines of Muzo, Chivor and Coscuez are known for rich, deeply saturated, vivid green gems synonymous with the characteristics of an “Ideal Emerald”.Of the three Colombian mines, Muzo is renowned as the source for emeralds of the finest pure green color. Originally emeralds were adorned in their rough, natural state. However over time, master cutters developed the ability to polish the surface of these gems, resulting in a variety of forms that correspond to the stones original shape. To Bring a fine gem to life from a rough piece of stone requires the eye of an artist, and the experience of master cutter. Only an expert understands how to maximize the nuances of color - how to craft the fingerprints of form that make up the signiture of the stone. 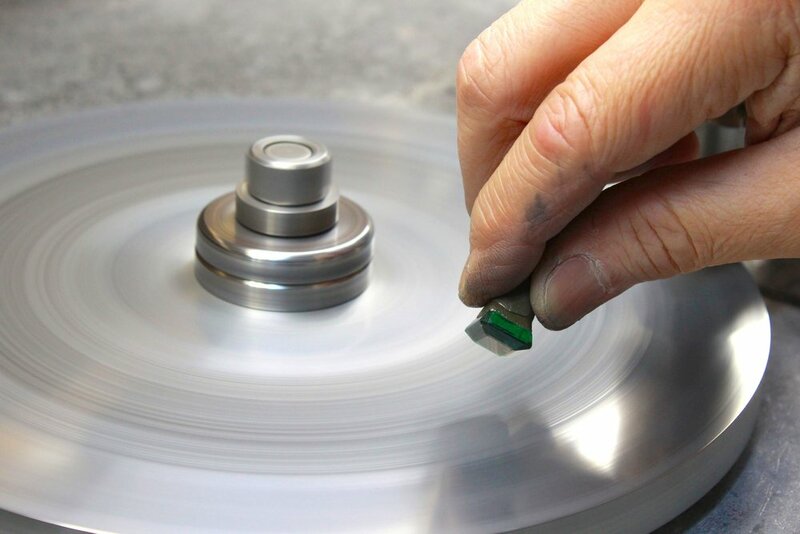 Simple polishing techniques evolved into a high level of artistry, leading to the creation of the cabochon cut - a highly-polished convex-cut with out facets. Now, other shapes are used to maximize the beauty of nature’s off-spring. Oval, Pear, and Heart shaped designs are all employed with both step and brilliant-faceting styles.